Life can get hectic juggling school, dance and friends. Stay prepared by making sure your dance bag is stocked with all the essentials! 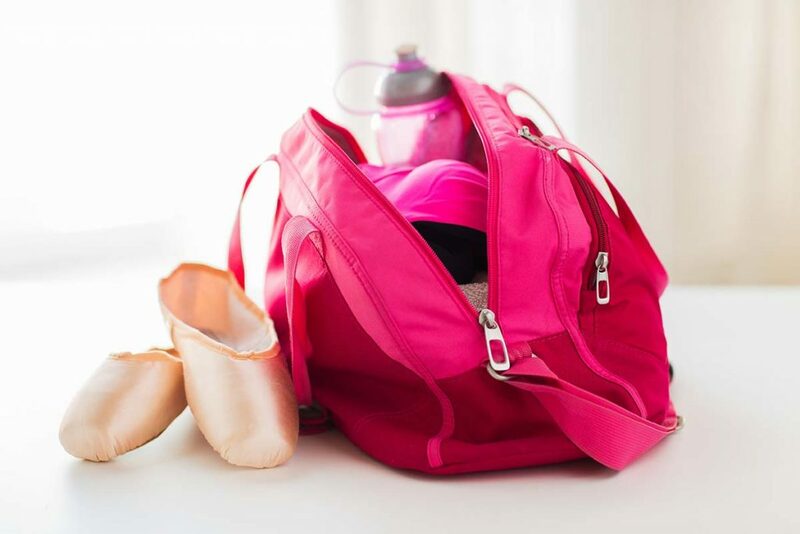 Here are ten things every dancer needs in their dance bag. You can never have enough bun pins! Carry hair pins, elastics and hair nets in your bag. You never know when you’ll need extras. Maybe you forgot your tights at home, or you snagged a hole in your tights. Make sure you’re never caught without a spare! Have a deodorizing and freshening spray for your feet and dance shoes. Freshen up! Have some stashed in your bag for a quick refresh. Keep a quick and healthy snack on hand, like fresh fruit or a protein bar. Long nights at dance will leave you hungry! Got a blister? Band aids are a quick way to provide some relief so you can get back to dancing! Stay hydrated! Have a lightweight and re-usable water bottle on hand at all times. Heading to dance straight from school? Keep a change of clothes in your bag. Or, warm ups, socks or a sweater to keep you warm in between classes. Have one of these in your bag to help you stretch after or in between classes. Strengthen your feet with resistance band exercises. At dance all night? Bring your homework with you to the studio and work on it during your breaks. What are your dance bag must-haves?! 441-12445 Lake Fraser Dr. S.E.